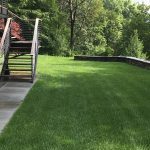 Countryside Landscape & Design Inc is a Design-Build landscape company comprised of knowledgeable professionals dedicated to providing exceptional service to the residential and commercial communities that we serve. Our company’s success not only depends upon customer satisfaction, but also by the workplace satisfaction of our employees who carry out our vision. Countryside Landscape & Design Inc fosters a culture that allows our employees to thrive and grow. At Countryside Landscape & Design since 2015. At Countryside Landscape & Design since 2013. 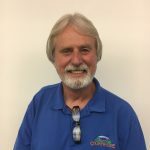 Terry has been with Countryside Landscape & Design since 2009, after 26 years working at a printing company. Terry’s role here is varied. He opens up all the buildings for operation in the morning; distributes tools to the crews; and then his work takes him off site, as he is part of our watering team and main delivery person. At the end of the day, Terry secures the tools along with the other buildings, fuels the trucks and manages the DOT inspection paperwork. Terry is a life-long resident of North Adams, and has raised 3 children during that lifetime. He now enjoys his grandchildren, and playing No Limit Hold’em. At Countryside Landscape & Design since 2018. Craig Borden joined the Countryside Landscape & Design team in 1994 as the first year-round employee. Craig now heads our Forestry Department. 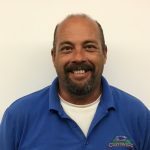 Craig has well over 3 decades of experience in arboriculture, starting his career with Bartlett Tree Experts in Connecticut. At Bartlett, he began as a grounds crewman, and worked his way up, gaining extensive training and experience. In 1989, Craig and the Bartlett’s Tree Restoration Team traveled to St. Croix, in the United States Virgin Islands, after Hurricane Hugo devastated the island. Craig and his team worked for 6 weeks to repair and restore the damaged trees. Craig is an expert in tree removal, tree cabling, summer and dormant pruning, shrub shearing and shaping, and bucket truck services. Craig’s #1 tip for successful trees and shrubs is; “Pick the right shrub or tree for the right location. 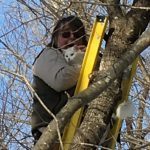 Too often I see plants that have outgrown their site, and it becomes a battle to maintain them.” Craig is also known to have rescued a few terrified cats from their lofty ascents into trees that they could not then descend from. Craig and his family moved to Bennington, Vermont in 1992. He began working for Countryside Landscape the following year. Craig has been instrumental with developing the forestry department. At Countryside Landscape & Design since 2014. Bill enjoys the people that he works with, and learning something new every day. At Countryside Landscape since 2018. John came to Countryside Landscape & Design in 1999. He maintains a fleet of 35 trucks, 13 large mowers, over a dozen various heavy equipment vehicles, not to mention an assortment of push mowers, weed whackers, and other powered lawn equipment. John keeps us going by keeping the equipment running that we need for this landscape business. 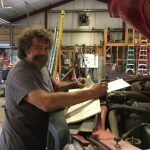 He is a certified Vermont inspection mechanic, certified MVAC technician, a GM certified mechanic in engines and transmissions, and OSHA-10 certified. Mike has been with Countryside Landscape & Design since 2006. He enjoys working outside in the fresh air, and the physical aspect of the job; the dirty fingernails and sore muscles. He likes taking what he learns in his day’s work, and applying it at home in his own outdoor spaces. Prior to coming here, Mike worked as an offset pressman in the printing industry for 23 years. Mike has three pets, a dog named Peter, and two cats, Patches and Tiger. At Countryside Landscape & Design since 2010. 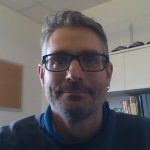 Steven joined the Countryside Landscape & Design team in 2017 as Landscape Designer and Project Manager. Steven’s approach to landscaping is to listen and fully understand the client’s needs. He applies a common sense approach in order to create a landscape that works while fulfilling the desires of his clients. 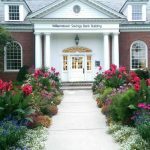 A life-long resident of the Berkshires, Steven attended Pittsfield High School, where he was introduced to Horticulture, and instantly realized that the landscaping industry was something that he was drawn to. 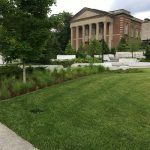 A graduate of Stockbridge School of Agriculture at the University of Massachusetts, he was given a solid foundation to start his career in Landscape Construction and Design. As a young man, he worked alongside his father, who was a Mason, thus gaining stone masonry skills which only bolstered his skill set in the field. Steven enjoys the Berkshires to the fullest, hiking, kayaking, the theatre, and working in his vegetable garden. At Countryside Landscape & Design since December 2018. Terry works in the office, tracking material and equipment usage of our crews, along with many other responsibilities. 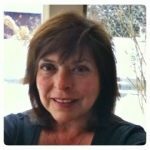 Debra has been with Countryside Landscape & Design since 2006, and is part of the office team. She has many roles…she maintains the client service lists, processes online payroll, manages employee records, and benefit contributions. In addition, she maintains the SDS files, AR, AP, and assists with the processing of state sales and use tax, just to name a few! Her favorite part of her position is assisting with technology, and finding ways to improve efficiency of work flow. Prior to joining Countryside, Debra has held positions as Office Manager, Programs Coordinator, Counselor, Customer Service and AR Clerk. 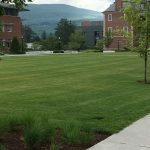 She possesses a Bachelor’s Degree in Business Administration from Southern Vermont College, and has participated in many continuing education programs in the years since. She is the proud mother of one son, Max, and they share their home with Beetle Bailey, their little Shih Tzu canine companion. She is a 5K runner, as is her son, and is an active member of the American Cancer Society’s Relay for Life (2009), Team Jocelyn’s Rainbow of Hope. Debra also enjoys hiking, kayaking, knitting and crocheting. Born in Bennington, VT, she grew up in Florida, returning to Bennington for her senior year of high school, and has been in the area ever since. 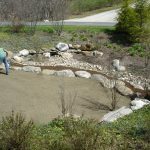 At Countryside Landscape & Design since 2010, Mike is a man of many skills. Beyond the Forestry division, he has been an active part of many other divisions, including being our in-house carpenter. He happily participates in his work, giving 100%, and bringing his never ending humor to the work environment. Prior to joining the Countryside Landscape & Design tribe, Mike was employed as a head foreman, building homes and log cabins, and even built his own barn. He takes great pride in his carpentry abilities, having originally been introduced to the building trades in high school. Mike was born in Kingsbury, New York, and was raised on a dairy farm. As with any dairy farm operation, he learned how to operate various machinery and equipment, along with the daily caring for animals. He loves the outdoors, whether working, hunting, doing his own yard work, or sitting by the fire pit. He loves life, making people laugh, and spending time with his wife. Scott joined the Countryside Landscape & Design team in 2017. 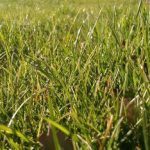 Scott assists Herb Severs in many of the lawn and tree applications; products that are designed to keep plants green and lush. Scott holds a certified applicator license for Massachusetts. Prior to his employment with us, he was the Ground Supervisor at Nauvoo, Illinois for 9 years. Gregory is one of our longest term employees, having joined the team in 1993. He began as a mower, and over the years, has advanced to Senior Field Manager. Given his tenure with the company, his knowledge is wide reaching and essential. 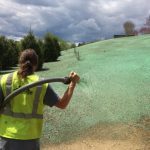 His primary responsibilities are coordinating and facilitating many crews; managing the maintenance crews, overseeing and scheduling the mowing crews, supervising and coordinating small plant installations, and managing all winter services. Gregory shares in responsibilities with other crew leaders, always able to step in and contribute when and where needed. 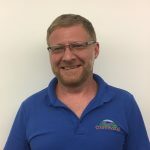 Dan joined the Countryside Landscape and Design team in 2018 as a Project Manager. He assists with projects of various scale and is committed to CSL’s high standard of quality and workmanship in the field. 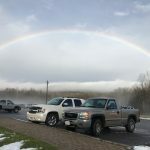 Dan possesses a heavy equipment operators license, is a ICPI certified concrete paver installer, a NCMA certified segmental retaining wall installer, and a Berkshire County Board of Health Certified septic system installer. In the winter months, Dan is part of our plow team. 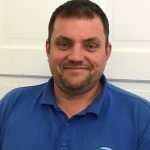 Prior to joining Countryside, Dan worked as a Green Industry Professional and is knowledgeable in all aspects of the field. Dan and his wife Cristi have one son, Dan Jr. and share there small stone home with their two cats, Yo-Yo and Cece as well as their long hair chihuahua, Chimichanga. He is from Cape Cod but graduated from Mount Anthony Union High in Bennington Vermont. Dan attended Southern Vermont College and is a veteran, having served in the U.S. Coast Guard. Dan enjoys tropical getaways, playing the drums and old jeeps. John has been mowing and keeping lawns beautiful for Countryside Landscape & Design since 1997! John also lends a hand in spring & fall clean-ups. Tom has been mowing and keeping lawns beautiful for Countryside Landscape & Design since 1993! Tom also lends a hand in spring & fall clean-ups. Sharon joined the Countryside Landscape & Design team in 1995 as the only person in the office. 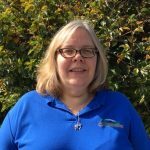 Now the Office Manager, with a staff of 2, Sharon keeps all facets running smoothly, overseeing all the daily operations of the office from customer service to accounting. Sharon loves working with a diverse group of people, and demonstrates this with her warm and engaging personality. Prior to working at Countryside, Sharon was employed in the green industry for 8 years. A life-long resident of the area, she shares her home with her husband Tim and is the proud mom of 2 Papillion fur babies. Kate joined the Countryside Landscape & Design team in an official capacity in 2014, having worked 3 years here while attending college. She heads the Maintenance Department as Field Manager, and loves the act of returning plant beds to their full beautiful glory after winter’s dormancy. She also enjoys the meditative process of caring for plants—dead heading, and maintaining plant health. Prior to her employment at Countryside, Kate was employed by an Environmental Consulting Company the 2 years following college. Kate possesses a Bachelor’s of Science from MCLA. Kate is the proud mother of a beautiful daughter, and also shares her home with her favorite weiner dog, Oscar. Shawn came to Countryside Landscape & Design in 2001. He is responsible for running crews on most of the commercial projects, keeping the workflow moving with efficiency. He organizes the daily tasks of his crews and coordinates labor and equipment that is needed on a daily basis. He operates an assortment of heavy equipment, and has managed crews of up to 17 men and women. In the winter, he is part of our plow team. He is respected by his crews for his patience, kindness and knowledge. His work ethic is outstanding, as he enjoys being busy and productive at his job, and appreciates seeing the outcome of his hard work, as are the recipients. He possess a Heavy Equipment Operator’s License, and has an OSHA 30 card. Shawn loves being in the outdoors. His earliest memories of landscaping were spent with his grandfather, after school, when he was just 8 years old. He also worked with his brother-in-law installing stone walls and patios. Shawn is a Williamstown native, where he has worked his entire life. He and his wife, Michelle are proud parents of three children, and their family extends to an assortment of beloved dogs and a cat. He enjoys the outdoors in his personal pursuits, hiking and going out with his metal detector discovering relics and old coins. Susan joined Countryside Landscape & Design in 2007. Susan authors our monthly newsletters. 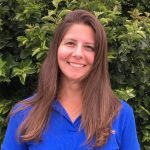 Prior to joining our team, Susan was a research assistant in developing Bio controls for small fruit production at the University of Massachusetts at Amherst. She was also the Greenhouse Manager for Magic Wings Butterfly Conservatory in South Deerfield. Susan has a B.S. in Plant Pathology, and is a Massachusetts certified Horticulturist (MCH), with a concentration on ecology of landscape plants. A native New Yorker, Susan grew up in New York City moving to Massachusetts in 1983. When not home growing orchids and tropical trees, Susan enjoys rides on her motorcycle. She shares her home with her husband, Steven, and their garden guard dog, Cooper. At Countryside Landscape & Design since 2017. 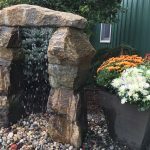 Owner of Countryside Landscape & Design, since 2013, Norman first started as a Field Supervisor in 2000, after a long career with Williams College. 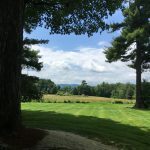 His time at Williams College spanned over 31 years, with his early days at the college as a carpenter, and quickly advancing to the carpenter shop foreman. The scope of his expertise continued to expand, as he gained more responsibilities, eventually supervising the grounds crews and overseeing all of the trade shops. This entailed the maintenance of the athletic fields, campus grounds (roughly 450 acres) in addition to overseeing the maintenance of all campus buildings (exterior painting, roofing, masonry). He continued to take on more, as a project manager of construction, and oversaw the logistics of special functions (set-ups for commencement, reunions and many other special college activities). Norman possesses expertise in all facets of construction, excavation, landscaping design and installation. He possesses a Massachusetts Construction Supervisor’s license. 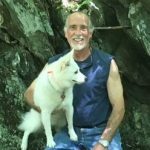 A Williamstown native, he has lived in the area his entire life, now residing in Pownal, Vermont with his wife Michele, and their assortment of beloved animals. Norman is also a very proud father of one grown daughter, Shauna Quinn Lowe of Leominster, Massachusetts. Frank joined Countryside Landscape & Design in May of 2006. Frank loves his job and his clients. He takes pride in his work, and is focused on the details, making sure that his clients are happy. Herb started as subcontractor for Countryside Landscape & Design in 1992, and then became an employee of the company in 2003. Herb possesses extensive knowledge with turf, ornamental plants, shade, fruit and ornamental trees, and diseases associated with these plants. This expertise encompasses diagnosing insect infestation and plant diseases, prescribing solutions to treat with specifically designed applications, including: fertilization, insect, and disease control; and tick control. Herb is commercially licensed in Massachusetts and Vermont. Herb possesses a degree in Business from Saint Joseph’s College. 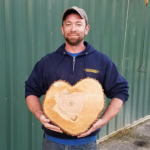 At Countryside Landscape & Design since February of 2017, Jake is part of our Forestry crew. Prior to joining our team, he worked for Greater Heights for 6 years in tree and land management. 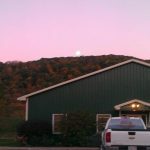 Jake attended Southwest Vermont Career Development Center, in the Forestry & Heavy Equipment Program. 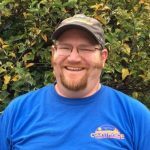 Jake possesses several arborist certifications; tree felling, rigging, and EHAT (Electrical Hazard Awareness Training). Jake is also trained in CPR and is a First Responder. Jake is a native to the area, and is the Training Officer at the Florida Volunteer Fire Department. Mitch started with Countryside Landscape & Design in 2005. 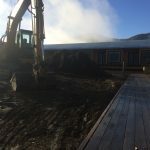 Mitch’s work involves a wide range of tasks, such as land clearing, brush hogging, receiving and unloading plant material, keeping the nursery organized, and the irrigation up and running.